The deadline to register for the Loro Piana Caribbean Superyacht Regatta & Rendezvous is 29 January, and we have some exceptional sailing superyachts registered so far. If you'd like to join them, make sure you register or enter now. 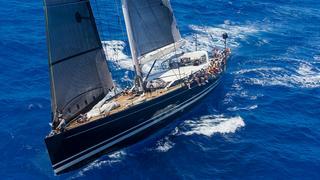 Please click through this gallery for more information on each of these sailing superyachts. Ammonite is a brand new yacht, launched in March 2016. 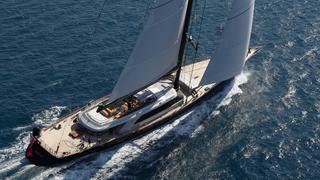 The 24 metre sailing superyacht was designed by Farr Yacht Design and built by Southern Wind. She's the first of the yard's yachts to feature a lifting keel. Ammonite will cruise from Cape Town to Sardinia before heading to the Caribbean to race in the Loro Piana Caribbean Superyacht Regatta and Rendezvous 2017. Ammonite is a brand new yacht, launched in March 2016. 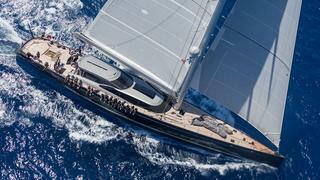 The 24 metre sailing superyacht was designed by Farr Yacht Design and built by Southern Wind. She's the first of the yard's yachts to feature a lifting keel. Ammonite will cruise from Cape Town to Sardinia before heading to the Caribbean to race in the Loro Piana Caribbean Superyacht Regatta and Rendezvous 2017. Nautors Swan built B5 (Ex-Odin) will without a doubt be ready to put on a powerful display in this year’s Loro Piana Caribbean Superyacht Regatta & Rendezvous, as she comes with a new owner and a new name. 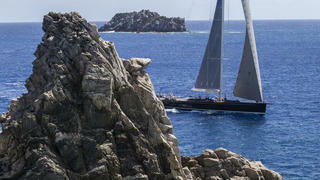 At 27.7m, and designed by German Frers, we are so glad to welcome B5 to the Loro Piana Regattas. Danneskjold (ex-Liara) is a 32 metre Southern Ocean Marine yacht, designed by Dixon Yacht Design, and is a newcomer to the Loro Piana Regattas. With a new owner and a new name, we are sure to see some action from Danneskjold in the Caribbean. Danneskjold (ex-Liara) is a 32 metre Southern Ocean Marine yacht, designed by Dixon Yacht Design, and is a newcomer to the Loro Piana Regattas. With a new owner and a new name, we are sure to see some action from Danneskjold in the Caribbean. Having been launched in 2012 by Nautor's Swan, Freya has entered several regattas and will be one to watch at the Loro Piana Caribbean Superyacht Regatta & Rendezvous. Freya was the 2000th Swan to be built. Designed by Frers Yacht Design, she caters to both cruising and racing needs. At 27.6 metres, Freya’s external layout allows for easy handling with minimal crew. Having been launched in 2012 by Nautor's Swan, Freya has entered several regattas and will be one to watch at the Loro Piana Caribbean Superyacht Regatta & Rendezvous. Freya was the 2000th Swan to be built. Designed by Frers Yacht Design, she caters to both cruising and racing needs. 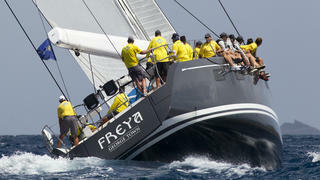 At 27.6 metres, Freya’s external layout allows for easy handling with minimal crew. Ganesha is a regular competitor of the Loro Piana regattas and has also had the honour of winning best sailing yacht over 40 metres at the 2014 World Superyacht Awards. The 46 metre Vitters sailing yacht Ganesha was launched in 2013 and has an impressive 62 metre Southern Spars carbon mast. The luxury exterior design is the work of Dubois, and the interior by Newcruise, with the purpose of creating an elegant atmosphere. Ganesha is a regular competitor of the Loro Piana regattas and has also had the honour of winning best sailing yacht over 40 metres at the 2014 World Superyacht Awards. The 46 metre Vitters sailing yacht Ganesha was launched in 2013 and has an impressive 62 metre Southern Spars carbon mast. The luxury exterior design is the work of Dubois, and the interior by Newcruise, with the purpose of creating an elegant atmosphere. Grande Orazio was launched in Cape Town, South Africa in 2014. Farr Yacht Design has provided the naval architecture, sail plan and appendages design for the SW82 mini-series, while the general concept, deck layout and interior design is by Nauta Design, who has collaborated with Southern Wind Shipyards for a number of years. The owner called for a yacht that delivered both high performance for racing and was also comfortable for cruising with the family. 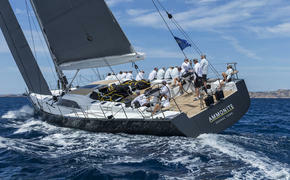 We are excited to see how Grande Orazio will perform in this years Loro Piana Caribbean Regatta. Grande Orazio was launched in Cape Town, South Africa in 2014. Farr Yacht Design has provided the naval architecture, sail plan and appendages design for the SW82 mini-series, while the general concept, deck layout and interior design is by Nauta Design, who has collaborated with Southern Wind Shipyards for a number of years. The owner called for a yacht that delivered both high performance for racing and was also comfortable for cruising with the family. 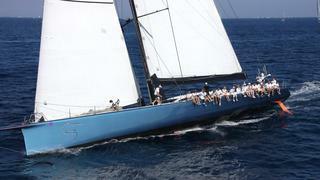 We are excited to see how Grande Orazio will perform in this years Loro Piana Caribbean Regatta. Built by Finish shipyard Nautor’s Swan, this impressive yacht is more than capable of confronting the burden of regatta racing. 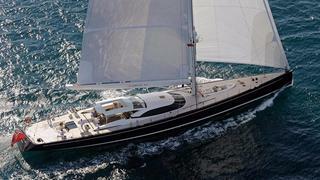 The luxury design is the work of German Frers, giving a sophisticated look to the exterior. Launched in 2016, this yacht will be one to watch in the Loro Piana Caribbean Superyacht Regatta & Rendezvous. Built by Finish shipyard Nautor’s Swan, this impressive yacht is more than capable of confronting the burden of regatta racing. The luxury design is the work of German Frers, giving a sophisticated look to the exterior. Launched in 2016, this yacht will be one to watch in the Loro Piana Caribbean Superyacht Regatta & Rendezvous. This 30 metre racing sailing yacht is a combination of both style and performance. Constructed by McConaghy Boats she has been provided with a platform for exceptional speed whilst maintaining her luxurious appeal. Designed by Farr Yacht Design, Leopard 3 has an exceptional racing reputation and we are sure to see her in action at the Loro Piana Caribbean Superyacht Regatta & Rendezvous. 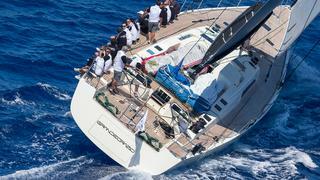 This 30 metre racing sailing yacht is a combination of both style and performance. Constructed by McConaghy Boats she has been provided with a platform for exceptional speed whilst maintaining her luxurious appeal. Designed by Farr Yacht Design, Leopard 3 has an exceptional racing reputation and we are sure to see her in action at the Loro Piana Caribbean Superyacht Regatta & Rendezvous. Nilaya came out on top in the last Loro Piana Caribbean Regatta & Rendezvous, beating rival Inoui to become 2016’s winner. This 34 metre sailing yacht was built by Baltic Yachts and designed by Reichel Pugh. She delivers high performance for her size with all the pedigree of a stripped-out racer. Nilaya came out on top in the last Loro Piana Caribbean Regatta & Rendezvous, beating rival Inoui to become 2016’s winner. This 34 metre sailing yacht was built by Baltic Yachts and designed by Reichel Pugh. She delivers high performance for her size with all the pedigree of a stripped-out racer. This 44 metre Vitters sloop sailing yacht is new to the Loro Piana Caribbean Superyacht Regatta and will be sure to come out fighting. Dubois are to thank for the sophisticated exterior and the interior was designed by Rhoades Young. 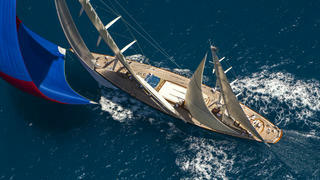 Ex Lady B, Ningaloo will stand out due to her carefully engineered features and sleek appearance. This 44 metre Vitters sloop sailing yacht is new to the Loro Piana Caribbean Superyacht Regatta and will be sure to come out fighting. Dubois are to thank for the sophisticated exterior and the interior was designed by Rhoades Young. 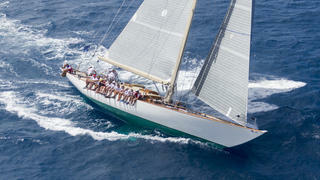 Ex Lady B, Ningaloo will stand out due to her carefully engineered features and sleek appearance. The 38.15 metre Perini Navi, P2 will return to the British Virgin Islands for the 2017 Loro Piana Caribbean Superyacht Regatta and Rendezvous to re-claim her title after winning in 2015 and claiming The Loro Piana Prize: The Boat International Media Trophy. The 2008 sailing yacht, designed by Philippe Briand, has a maximum speed of 13 knots. The 38.15 metre Perini Navi, P2 will return to the British Virgin Islands for the 2017 Loro Piana Caribbean Superyacht Regatta and Rendezvous to re-claim her title after winning in 2015 and claiming The Loro Piana Prize: The Boat International Media Trophy. 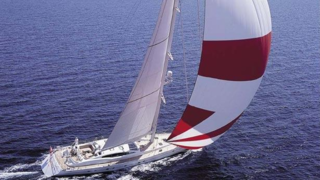 The 2008 sailing yacht, designed by Philippe Briand, has a maximum speed of 13 knots. Perseus^3 was launched by Perini Navi in 2015. The 60 metre sailing yacht was designed by Ron Holland Design and Perini Navi, boasting 5 rooms which can sleep 12 people, and accommodating up to 11 crew for a comfortable yachting experience. The owner will be hoping to put in a strong show for the 2017 Loro Piana Caribbean Superyacht Regatta & Rendezvous after racing well in the 2016 regatta. Perseus^3 was launched by Perini Navi in 2015. The 60 metre sailing yacht was designed by Ron Holland Design and Perini Navi, boasting 5 rooms which can sleep 12 people, and accommodating up to 11 crew for a comfortable yachting experience. The owner will be hoping to put in a strong show for the 2017 Loro Piana Caribbean Superyacht Regatta & Rendezvous after racing well in the 2016 regatta. The magnificent 51.8 metre sailing yacht Q (ex Mondango II) was designed by Reymond Langton, who alongside the devoted owners, created a modern yacht that can accommodate up to 10 guests in luxury. It is one of the top 50 largest sailing yachts in the world. Launched in 2008 by Alloy Yachts, this multiple award-winning yacht has a maximum speed of 15 knots. The magnificent 51.8 metre sailing yacht Q (ex Mondango II) was designed by Reymond Langton, who alongside the devoted owners, created a modern yacht that can accommodate up to 10 guests in luxury. It is one of the top 50 largest sailing yachts in the world. Launched in 2008 by Alloy Yachts, this multiple award-winning yacht has a maximum speed of 15 knots. The 43 metre German Frers designed yacht, Rebecca, is without a doubt one of the most stylish and modern sailing yachts in the world, and one of the largest yachts to have been built at Pendennis. Sailing at a maximum of 12 knots, this superyacht has undergone multiple refit work to become both performance minded and impressive looking. The 43 metre German Frers designed yacht, Rebecca, is without a doubt one of the most stylish and modern sailing yachts in the world, and one of the largest yachts to have been built at Pendennis. Sailing at a maximum of 12 knots, this superyacht has undergone multiple refit work to become both performance minded and impressive looking. In 2016 Nautor’s Swan launched the second hull of its flagship 115 series, Shamanna. The features of the series are a wide stern, twin rudders and a high grade steel keel blade with a T-bulb. The 35.20 metre Swan is a flush deck model with sporty lines and is configured for high performance. Built with a teak deck, her naval architecture and exterior design is by German Frers. At 106.6ft, the sailing yacht Sunleigh was built by Jongert in Netherlands and was delivered to her owner in 2002 after a refit in 2007. Tony Castro is to thank for the both the sophisticated exterior design and the engineering. Previously named Red Sula, her luxurious interior was designed by Peter Sijm. Sunleigh is said to be the most exciting yacht ever built by the Dutch shipyard, so we are excited to welcome her as a newcomer to the Loro Piana Caribbean Superyacht Regatta and Rendezvous. 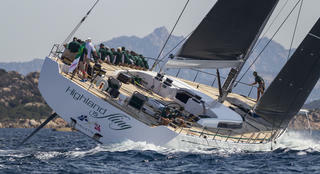 Sailing at 23.2 metres LOA, this W-Class yacht was designed by the late Joel White and built by W-Class™Racing Yachts. The wood used to form the hull is cold-molded and specially chosen to maximise both strength and lightness. 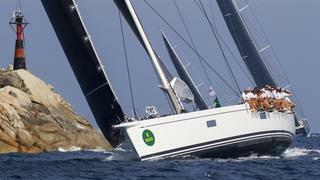 Wild Horses has competed in more than 160 races in the Caribbean, in the Mediterranean, and along the U.S. East Coast, including the 2013 Loro Piana Caribbean Superyacht Regatta and Rendezvous. Fast and light, with a low centre of gravity, Wild Horses is sure to be a serious contender. 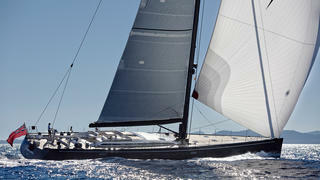 Sailing at 23.2 metres LOA, this W-Class yacht was designed by the late Joel White and built by W-Class™Racing Yachts. The wood used to form the hull is cold-molded and specially chosen to maximise both strength and lightness. Wild Horses has competed in more than 160 races in the Caribbean, in the Mediterranean, and along the U.S. East Coast, including the 2013 Loro Piana Caribbean Superyacht Regatta and Rendezvous. Fast and light, with a low centre of gravity, Wild Horses is sure to be a serious contender.